A surprisingly simple mix of color matching and endless running. 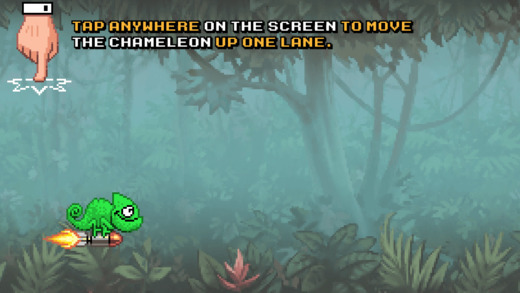 You take control of a chameleon which happens to ride a rocket and chase down yummy bugs. 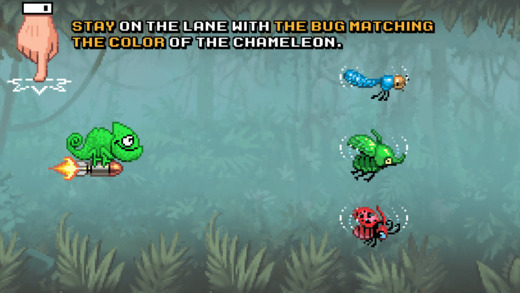 The goal – eat the bugs matching the chameleon’s color to score a point. If you enjoy simple yet challenging games then look no further!